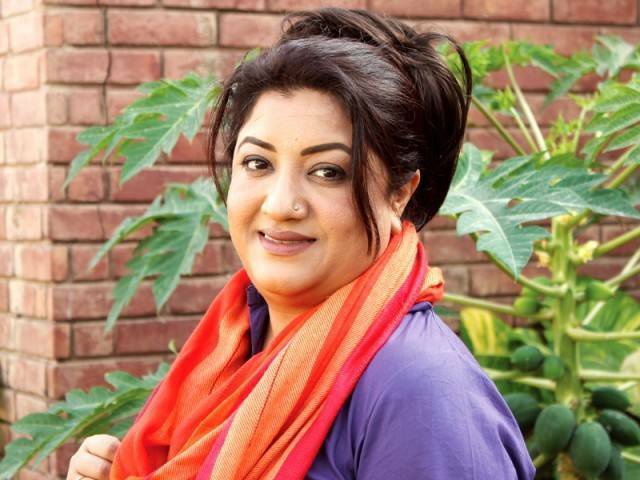 Hina Dilpazeer is a Pakistani Actress, Director, Singer, comedian and a Television Presenter. She was born on 16 of January 1969 in “Karachi” Pakistan. She is Best Known for her role “Momo” in the Serial BulBulay which is one of the most watched comedy drama in Pakistan due to her excellent performance. Her Other important works including the Mitthu in Mitthu Aur Aapa, or Shakooran in Quddusi Sahab Ki Bewah and Saeeda in Burns Road Ki Nilofar for which she won the Best Female Performance in a supporting role at the Kara Film Festival. His role as Momo in Bulbulay received extremely positive comments in all around the world and she won a heavy fan following. Hina Dilpazeer was born in Karachi, Pakistan. After completing her early education in Karachi, she was shifted to the UAE with her family due to her father’s employment. After spending some years in Dubai, Dilpazeer returned to Karachi in 2006. In his family, Dilpazeer was closest by heart to his father. She remembers him as her “friend” and credits him for many of her qualities and things. In addition to participating in television and theater, Dilpazeer enjoys the poetry and music and admires the Roshan Ara Begum, Bade Ghulam Ali Khan and Begum Akhter. She is not very much social and not spend much time on Social Networks but She still manages her time to get interact with her Fans. She has Appeared is Numerous Dramas which is hard to count but we are giving you some of the dramas list.